Google’s plan to establish a 1.7-million-square-foot campus in Hudson Square isn’t the first large-scale real estate play the search-engine giant has made in New York. It’s not even the first one this year: in March, Google closed on its $2.4-billion acquisition of Chelsea Market. The company has expanded its real estate and employee base in New York since it established its first office outside of California. 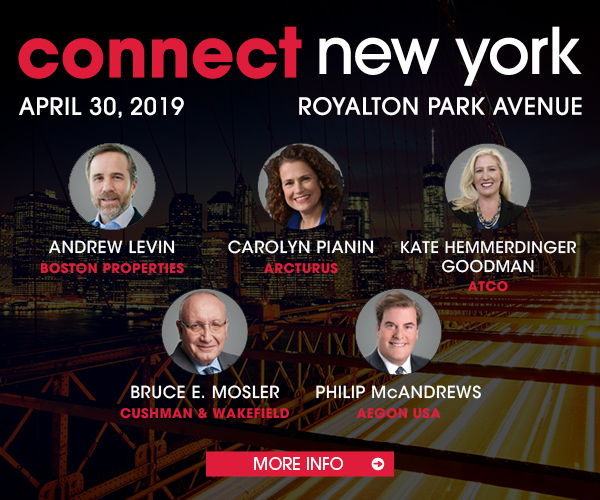 “New York City continues to be a great source of diverse, world-class talent—that’s what brought Google to the city in 2000 and that’s what keeps us here,” SVP and COO Ruth Porat wrote in a blog posting Monday. With the most recent investments in Google Chelsea and Google Hudson Square, “we will have the capacity to more than double the number of Googlers in New York over the next 10 years,” wrote Porat. Currently the company employees 7,000 in the city. In addition to its 315 Hudson space, Google has also signed on for 180,000 square feet at Hines’ 345 Hudson St. and has a letter of intent to occupy 1.3 million square feet at Oxford Properties’ St. John’s Terminal at 550 Washington St.